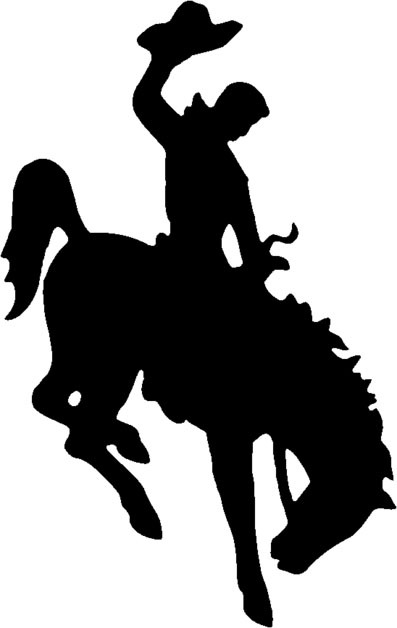 Bucking horse and Rider; registered trademark of Wyoming; published here under the principle of fair use (educational/nonprofit). Bucking horse and Rider; registered trademark of Wyoming Photo by [file:field-file-photographer]/[file:field-file-source] ([file:field-file-license]). 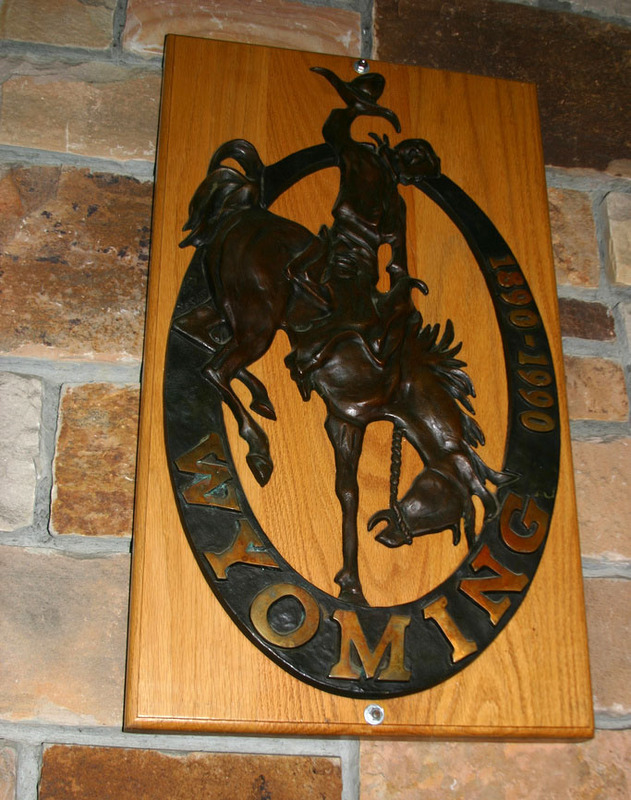 The Bucking Horse and Rider is the registered trademark of Wyoming. 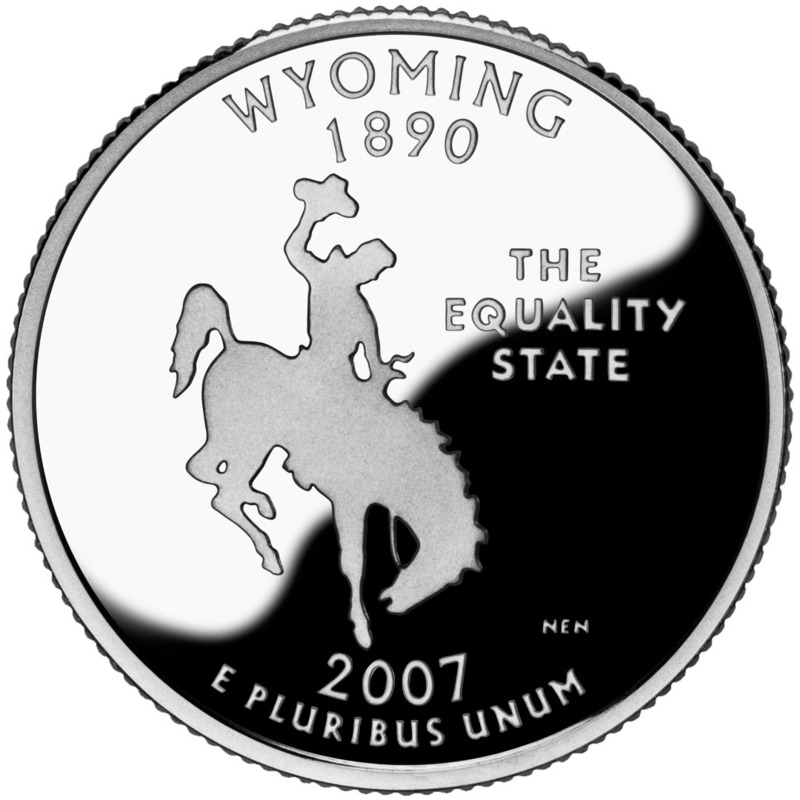 This image is widely associated with Wyoming - even more so since the U.S. Mint featured the bucking horse and rider trademark on the Wyoming quarter. Wyoming's first use of the Bucking Horse and Rider mark dates back to 1918 (perhaps earlier). The Bucking Horse and Rider was used as an insignia during World War I, worn by members of the Wyoming National Guard in France and Germany. Wyoming also recognizes rodeo as the official state sport. Bucking Horse and Rider plaque; Jackson Lake Lodge, Grand Teton National Park, Wyoming. Photo by Tom Simpson/Flickr (noncommercial use permitted with attribution/no derivative works).